Teachers’ notes: Take the class on a trip to the seaside to look at creatures that live on the beach. 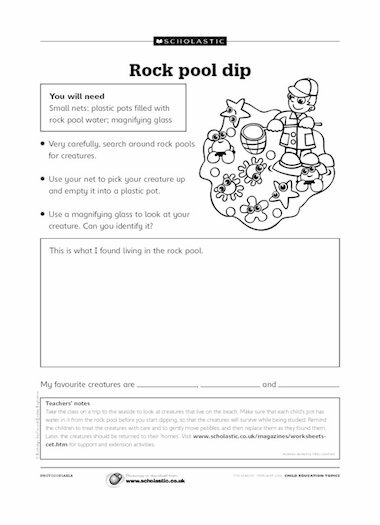 Make sure that each child’s pot has water in it from the rock pool before you start dipping, so that the creatures will survive while being studied. Remind the children to treat the creatures with care and to gently move pebbles and then replace them as they found them. Later, the creatures should be returned to their ‘homes’.